In 2018, the California Legislative revised Penal Code 1000 allowing certain defendant’s charged with low-level offenses, to participate in pretrial diversion. Previously, diversion required a guilty and/or not contest plea, where upon successful completion of diversion, the case would be dismissed. This however carried adverse consequences to non-US citizen’s despite the case being “dismissed.” Therefore, for those who qualify, have their cases dismissed without having to enter a guilty or no-contest plea. 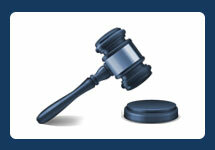 To participate in pretrial diversion, a defendant must agree to waive their right to a jury trial. The case is then postponed for a certain period of time allowing a defendant to complete drug classes, AA meetings, or community services. If the defendant completes the obligations, the case will then be dismissed. The defendant has no prior felony conviction within 5 years prior to the alleged commission of the current charge(s). 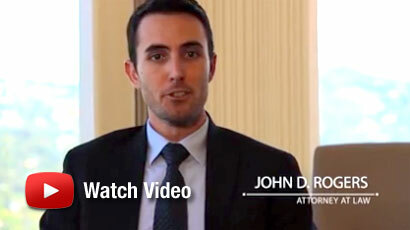 If you have been charged, arrested, or under investigation, then contact an experienced Orange County criminal defense attorney at the Law Offices of John D. Rogers. Call us today to schedule your free confidential consultation concerning your rights and defenses. (1) Within five years prior to the alleged commission of the charged offense, the defendant has not suffered a conviction for any offense involving controlled substances other than the offenses listed in this subdivision. (3) There is no evidence of a contemporaneous violation relating to narcotics or restricted dangerous drugs other than a violation of the offenses listed in this subdivision. (4) The defendant has no prior felony conviction within five years prior to the alleged commission of the charged offense. (b) The prosecuting attorney shall review his or her file to determine whether or not paragraphs (1) to (4), inclusive, of subdivision (a) apply to the defendant. If the defendant is found eligible, the prosecuting attorney shall file with the court a declaration in writing or state for the record the grounds upon which the determination is based, and shall make this information available to the defendant and his or her attorney. This procedure is intended to allow the court to set the hearing for pretrial diversion at the arraignment. If the defendant is found ineligible for pretrial diversion, the prosecuting attorney shall file with the court a declaration in writing or state for the record the grounds upon which the determination is based, and shall make this information available to the defendant and his or her attorney. The sole remedy of a defendant who is found ineligible for pretrial diversion is a postconviction appeal. (c) All referrals for pretrial diversion granted by the court pursuant to this chapter shall be made only to programs that have been certified by the county drug program administrator pursuant to Chapter 1.5 (commencing with Section 1211) of Title 8, or to programs that provide services at no cost to the participant and have been deemed by the court and the county drug program administrator to be credible and effective. The defendant may request to be referred to a program in any county, as long as that program meets the criteria set forth in this subdivision. (d) Pretrial diversion for an alleged violation of Section 11368 of the Health and Safety Code shall not prohibit any administrative agency from taking disciplinary action against a licensee or from denying a license. This subdivision does not expand or restrict the provisions of Section 1000.4.